One of the webOS community's mantras has always been "You can't brick a Pre." "Bricking" is essentially rending a device un-usable via software hacks. 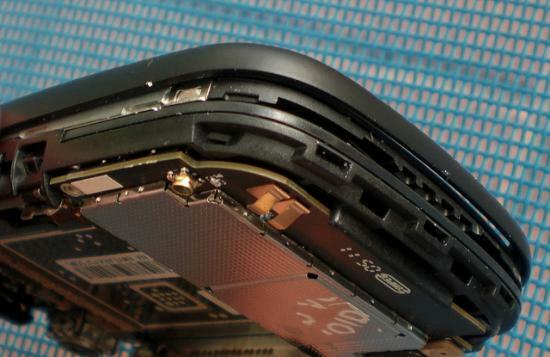 With previous webOS devices, unless you software hacks did something crazy to the hardware (like melting stuff from overclocking), you could always recover to a factory state with the webOS Doctor. No craziness with bootloaders (Hi HTC! ), no mucking about with custom ROMS: simple, robust and open. Well, the Veer is also as simple and open to hacking as any webOS device, but it's a bit less robust. To wit: Rod Whitby of WebOS Internals has managed to brick his. The new wrinkle here is there's a new chip whose purpose is to interface with the new Touchstone / Touch to Share technology in the Veer. It's required to let the phone boot and if its firmware gets screwy, the phone is bricked. There's a command-line binary called "PmA6Updater" to program that A6 chip and to keep from bricking your Veer, stay far far away from it. However, Whitby's loss is our gain, as he took the 'opportunity' of a bricked phone to take it apart and show off the insides. We can now see much more than the semi-removable battery PreCentral showed you earlier this month, so hit up the source link below for the disassembly action. While you're hitting links, WebOS Internals is looking to get another Veer or two to help continue their hacking on the device, so make with the clicks on the donate link below.